Are Kyle Echarri and Ylona Garcia still friends? 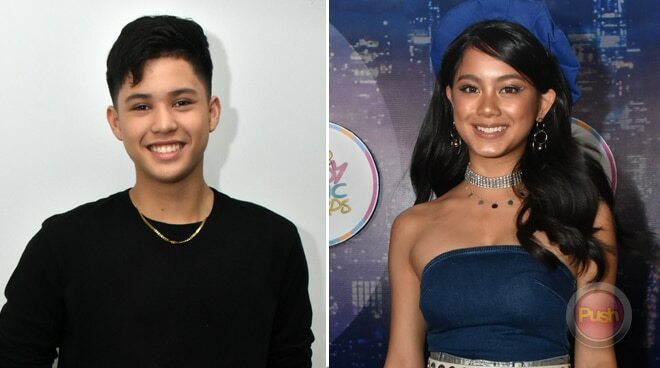 Following the issue concerning the state of things between Ylona Garcia and Kyle Echarri, the latter finally put to rest rumors that he and Ylona have decided to end their friendship. Over a month ago, several fans started wondering where the Potato Squad (the name Darren Espanto, Ylona Garcia, Kyle Echarri, and AC Bonifacio call their group) was when Ylona needed their support when she opened up on social media that she went through depression and severe stress. While Kyle did not reveal the reason as to what caused the misunderstanding between them, he assured fans that their friendship is still going strong. “Ngayon parang sa akin po friends pa rin po kami. Nagkita po kami nung Sunday. We were talking about stuff. We’re still friends, of course. I don’t know where she is right now. I haven’t seen her since. As for me, I still feel we’re friends,” he said during his launch as Star Music’s sub-label Star Pop’s newest artist last Monday, July 30. Some fans took to Twitter last Sunday, July 29, to express their happiness after a video of Kyle cheering for Ylona made rounds online. After releasing the music video for “Pangako,” Kyle Echarri is set to release his second studio album soon.